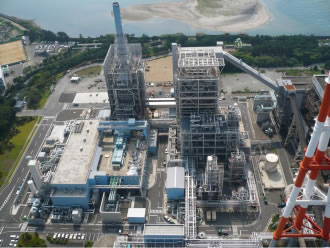 On July 3rd, the Minister of Environment commented on the planning phase environmental impact statement for TEPCO’s demonstration plans for two large-scale with integrated coal gasification combined cycle (IGCC) plants set to be built in Hirono and Nakoso, Fukushima prefecture. Yet, surprisingly, these comments express the ministry of environment’s expectation that these large scale coal-fired power projects will revive Fukushima’s economy by improving the employment situation etc. In addition, given that these plants are expected to have the highest level of efficiency for IGCC technology, from these comments we can see that the Minister anticipates that the demonstration will be completed as soon as possible and reliable electric generation equipment will be established. Moreover, by having the demonstration of both Hirono and Nakoso taking place simultaneously, Minister is urging that the demonstration period be shortened and is pushing for the establishment of the facilities as commercial plants. In today’s electrical power system, how much would a coal-fired power plant, a large scale concentrated power plant similar to a nuclear power plant, contribute to the regional economy? Rather, aren’t these plants bringing about a bigger risk by imposing an old-fashioned electricity system on Fukushima? Now is the time to reconsider these large-scale power systems. The Minister pointed out that in the two environmental impact statements, however, there is no mention of any measures consistent with the goal to reduce carbon dioxide emissions. The minister’s comments include a request to the electric power industry to consider MoE and METI’s agreement, which requests utilities to take measures in order to guarantee that the industry is consistent with national climate targets and to establish a voluntary framework to reduce net increases in emissions overseas emission reductions etc (in regards to keeping additional emission levels on par with emissions from natural gas). To be consistent with the national long-term goal to reduce emissions by 80% by 2050, the Minister also urges utilities to consider projects that adopt CCS technology. We can tell from these comments that the Minister is considering the effects of CO2 emissions. However, even the “world’s most efficient” coal-fired power plant release greenhouse gases two times that of a natural gas-fired power plant. Furthermore, the impacts of large amounts of CO2 emissions are considerable even when other offset measures to reduce emissions are considered.. As a preventative measure, it is better to stop building new coal-fired power plants, and to invest towards renewable energy or build highly efficient natural gas-fired power plants as a transitional measure. It is imperative that the Ministry of Environment examine the effects of CO2 emissions released by coal-fired power plants more seriously and give constructive criticism to utilities on their power plant projects. Copyright © 2019 Don’t go back to the 石炭〜石炭火力発電に反対　|石炭発電|石炭火力発電|反原発 All rights Reserved.